Dave Bassage and Susan Mitchell empty trash at the Canyon Rim Visitor Center during the partial government shutdown. Photo by F. Brian Ferguson, Charleston Gazette-Mail. 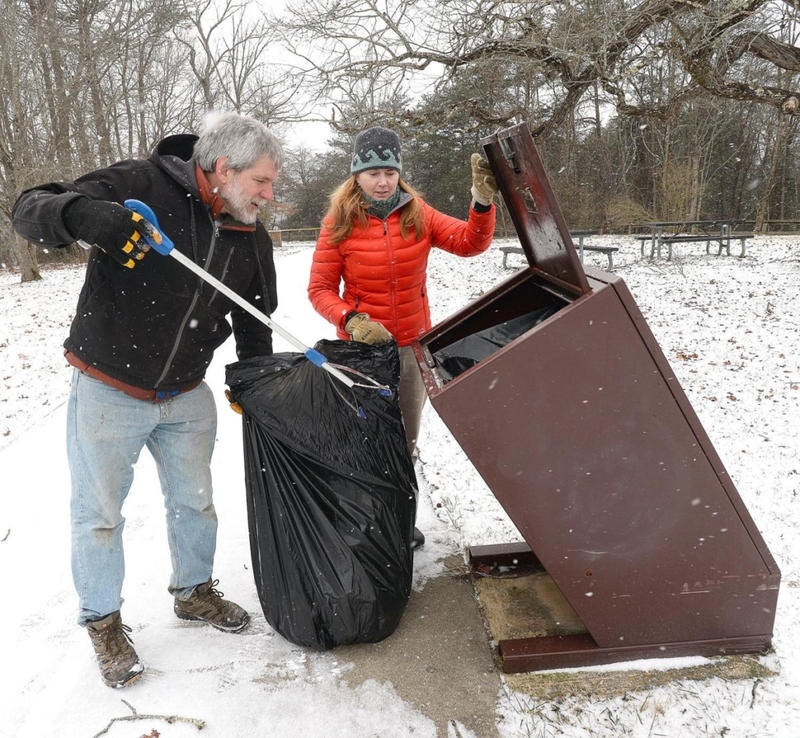 Dedicated public lands volunteers, including WVPL’s own Dave Bassage, made sure trash did not pile up in the New River Gorge National River or the Gauley River National Recreation Area during the 34-day government shutdown. Volunteers picked up trash, emptied garbage cans and even refilled toilet paper in National Park Service bathrooms. Thank you Dave and all of the volunteers for your stewardship and dedication to our public lands! This Congress, West Virginia is going to have some additional clout on Capital Hill as Senator Manchin takes over as Ranking Member on the Senate Committee on Energy and Natural Resources. This powerful committee has jurisdiction over our national energy policy, energy, national parks, public lands, and water. As the highest-ranking Democrat on the committee, Senator Manchin will be in a stronger position to champion West Virginia issues and defend our public lands and waters from damaging changes coming out of this administration. Despite only taking the position in January, West Virginia and the country are already benefiting from his leadership as a public lands bill – which includes permanent authorization of the Land and Water Conservation Fund – has passed the Senate and is now headed over to the House. We are optimistic that the Land and Water Conservation Fund will quickly be permanently authorized. 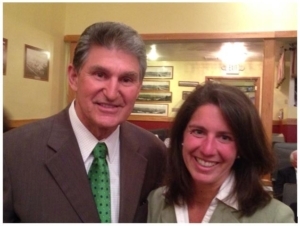 Angie Rosser, WV Rivers executive director, with Senator Manchin. 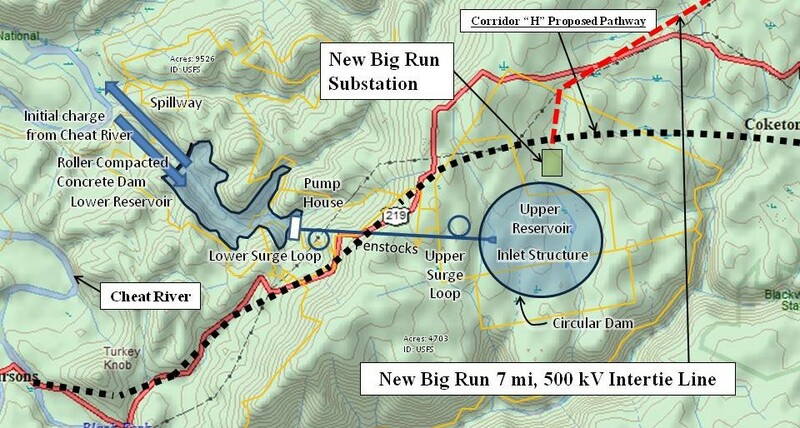 FreedomWorks LLC has proposed a pump storage hydroelectric project in a portion of the Monongahela National Forest in Tucker County. While we agree there is a need for increased storage capacity to make renewable energy more reliable, the proposed location for this project raises concerns. The project has the potential to impact Big Run Bog National Natural Landmarkand Mill Run, a high quality native brook trout stream. Freedom Works must obtain a permit from the Federal Energy Regulatory Commission (FERC) to proceed with a feasibility study. 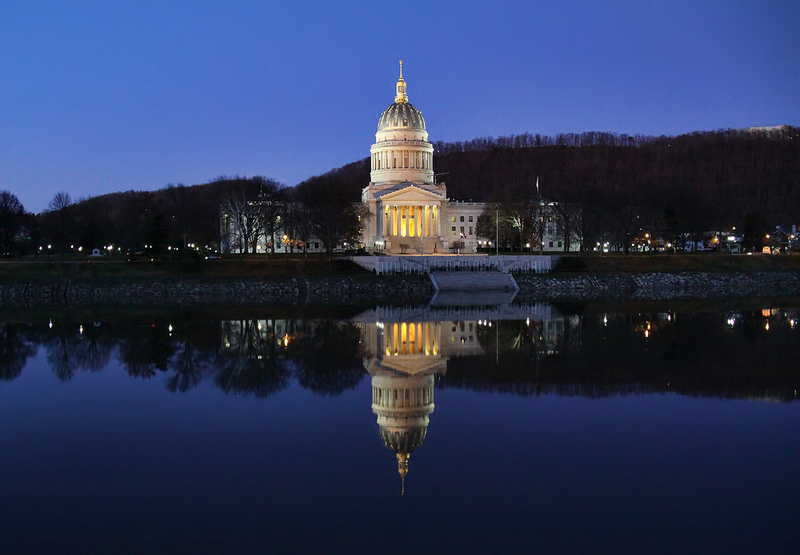 West Virginians for Public Lands Alliance members WV Rivers, Friends of Cheat, Friends of Blackwater, the West Virginia Chapter of the Sierra Club and the West Virginia Highlands Conservancy submitted comments to FERC expressing our concerns. The WVDNR, the Monongahela National Forest, and the Department of the Interior also submitted comments on the proposal. We will keep you updated as this process unfolds. HB2420 – Mountaineer Trail Recreation Authority. This bill would establish an entity to help expand recreational trails and access in the Potomac Highlands and central part of the West Virginia. HB2420 has passed the House and is in the Senate Economic Development Committee. SB88 – Office of Outdoor Recreation. This bill would create the Office of Outdoor Recreation to coordinate outdoor recreation policy and promote outdoor recreation in West Virginia. SB88 is in the Senate Government Organization Committee.